This is an Austrailian text which I obtained through the Divers Alert network. 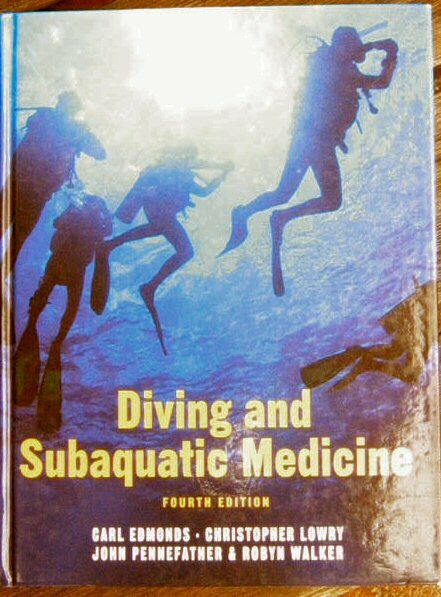 This book gives a comprehensive overview of Diving and is a must or dive Physicians and Scuba divers either recreational or professional. There are interesting sections on Underwater recompression therapy and underwater envenomations from an Austrailian perspective. This book is strongly recommended.